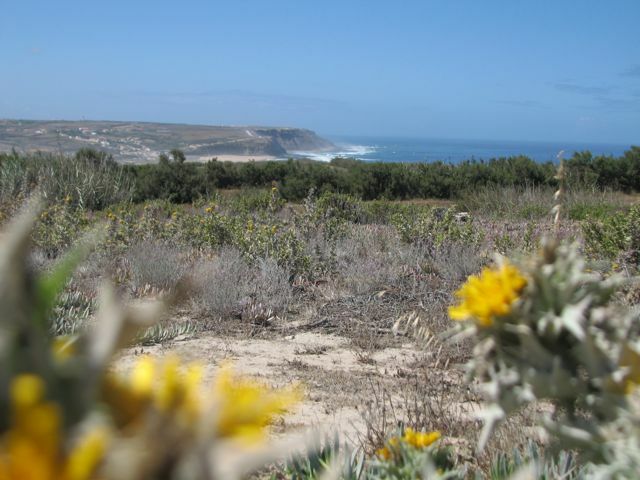 The Portuguese coast is rocky and dry, and the water, a cool blue. Air temp has been cool at night, sweatshirt weather. Days have been warm with cool water temperatures, I’d say around 60˚. As long as you are moving or in the sun you keep pretty warm while surfing. We woke up this morning to find large waves at the competition site here at the 2009 World Surf Kayak Championships in Santa Cruz Portugal. 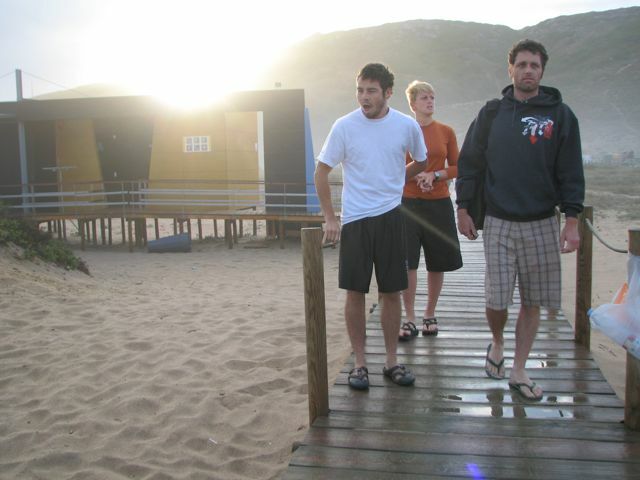 Three groggy campers aproach the beach on Thursday morning to check the surf conditions. My teammates and roomies from left to right are Andy Gates, Lindsay Usher and Joey Hall. We had severe winds yesterday creating “victory at sea” conditions. Today and Friday are practice/setup days and the weather is calm, but yesterdays high winds doubled the swell size. Tonight we are looking forward to the opening ceremonies where we will represent our country along with a dozen other teams. Competition actually begins on Saturday, July 25th, which is at least 2-3 days after we had anticipated. On a positive note this has given us a couple more days to practice and learn the surf break. The break and surf conditions are currently very similar to what we commonly experience on the US East Coast. It is a steep, pitching, beach break for the most part and it is really really fun. With the current wave size you are guaranteed a beatdown or two. USA East Team Member and our Team Captain, Anthony Bell, lays out a huge, almost aerial cutback. Five minutes north of Santa Cruz in Santa Rita is the actual surf break on which we will compete. 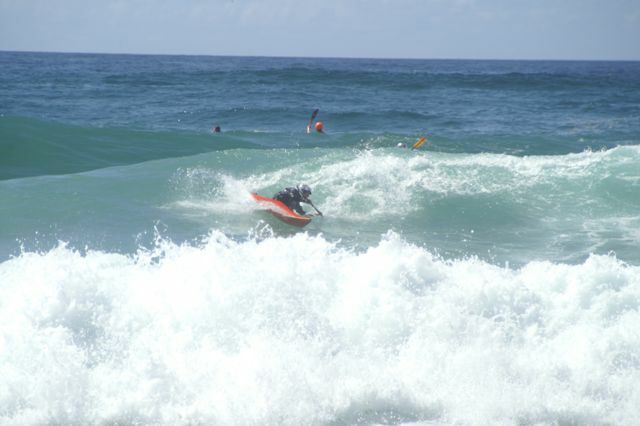 The kayak surfing event is part of a larger event called Ocean Spirit, which is an annual surf competition here in Portugal. 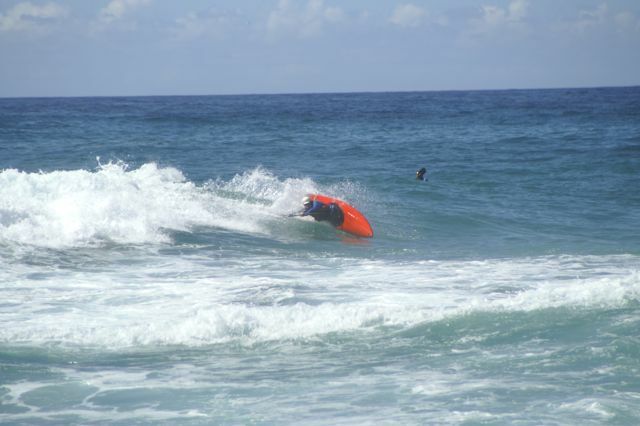 Annually the contest includes kayak surfing, surf boarding, kite surfing, boogie boarding and skim boarding. 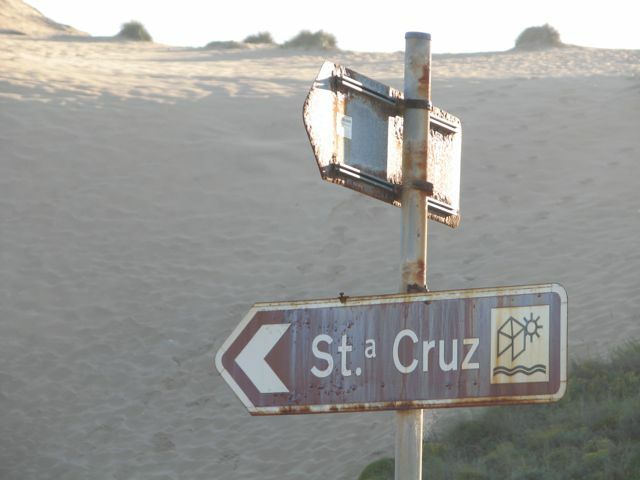 Santa Cruz, Portugal < that way. The magnitude of the event is far larger than I would have expected. Just today the beach has been transformed into a festival ground and there were probably 500 people on the beach watching the athletes from all the different sports. To give an idea to our readers who have experienced the Gauley River Festival, this event is at least that size. "Traaaactoooooorrrrr!" is what Mason would say. There was lots of heavy machinery present on the beach for the setup. 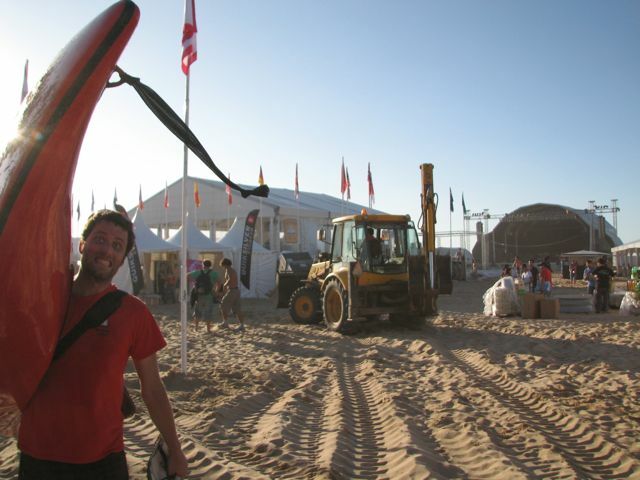 Today there was an equipment check-in where the officials made sure you have all the proper safety equipment and your surf kayaks meet the specifications of each competition class. There are two divisions of competition, which are International Class (IC) and High Performance (HP). The quick and easy explanation for those who are unfamilar with Surf Kayaks is that IC is like long-boarding and HP is like short boarding. Secure boat locker at the competition site. In the above photo you will notice the boats with fins in the bottom. 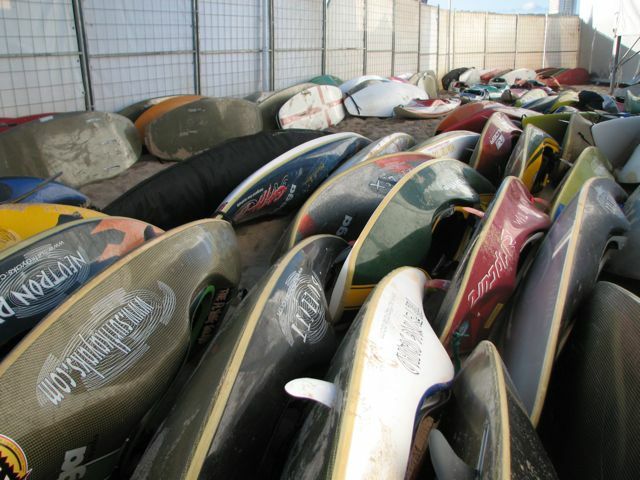 Those are HP surf kayaks. Typically the ones without fins are IC boats. Also, IC boats must be at least 3 meters in length and HP boats may not exceed 8.5 feet. Joey and I will both be competing in IC for the team event and we will do HP and IC individually. Individual competition begins on Saturday morning run independently of the team competition which should occur next week. Surf shrine overlooking the competition site at Santa Rita. 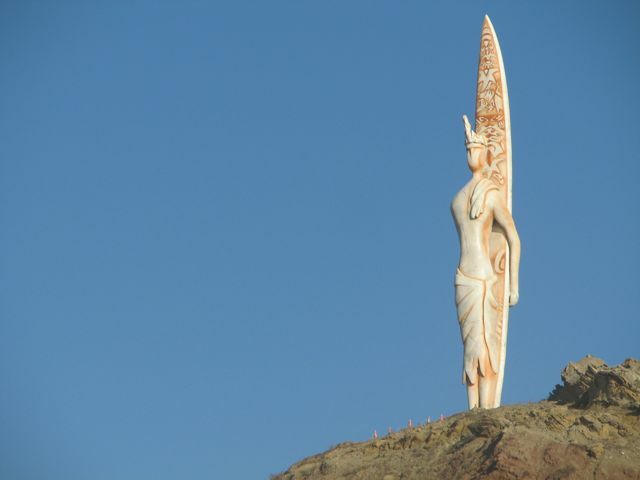 The above photo features a fifty foot (?… huge) surf goddess who stands atop a cliff, peering over the beach. Behind her is beautiful farmland. If I can get some historical or geographical significance about the lady of the beach I will post that later. 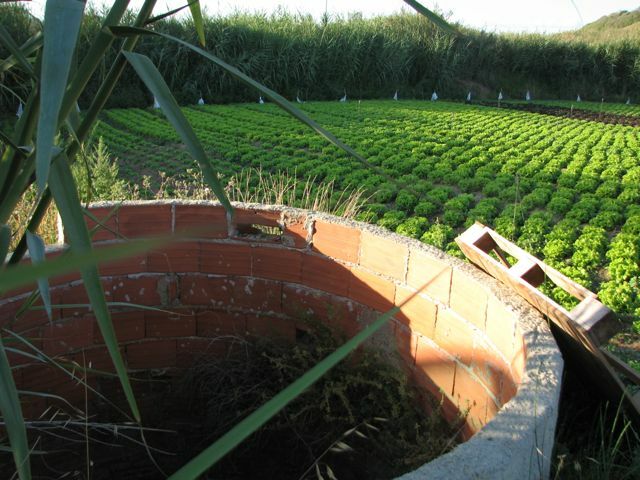 Farmlands begin just behind the beach. This lush field of lettuce is just across the street from the contest site. If the Cooke, Cooper and Auer families are viewing this, I took this photo for you guys. I thoght you would appreciate it and I hope your gardening is going well at home. 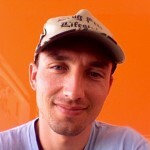 There are a couple other websites that may offer daily competition results and I will give you those URLs asap. Finally, a gratuitous Choo-Choo photo for Mason since I knew he would love it. 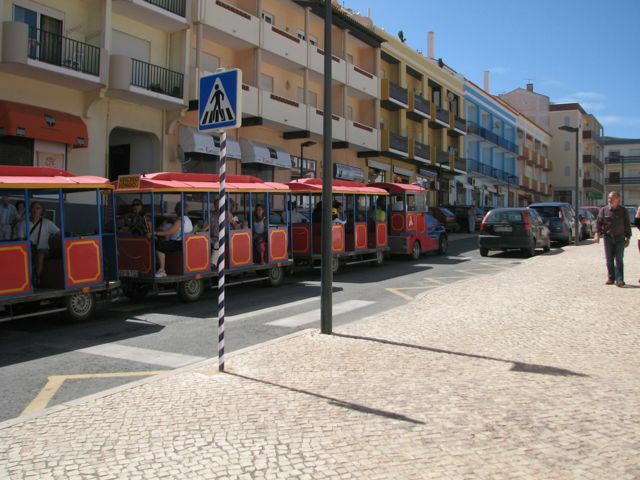 This is basically a trolley that runs tours through town each day. Thanks for viewing and I will attempt another update on Friday evening. please keep safe & the cards & letters coming in. GOOL LUCK. Gill & family. The site, and the whole area look beautiful. Looks like a great event. Best of luck to everyone and may the best east coast surfer win. Post lots of rides. Awesome, guys! Wishing you all luck and good runs. I’m excited to hear more as things go along. Looks like you guys are surfing well. Have a great time and thanks for the updates, we are looking forward to them!Wish we were there!!! Previous post: Thanks for getting us here.